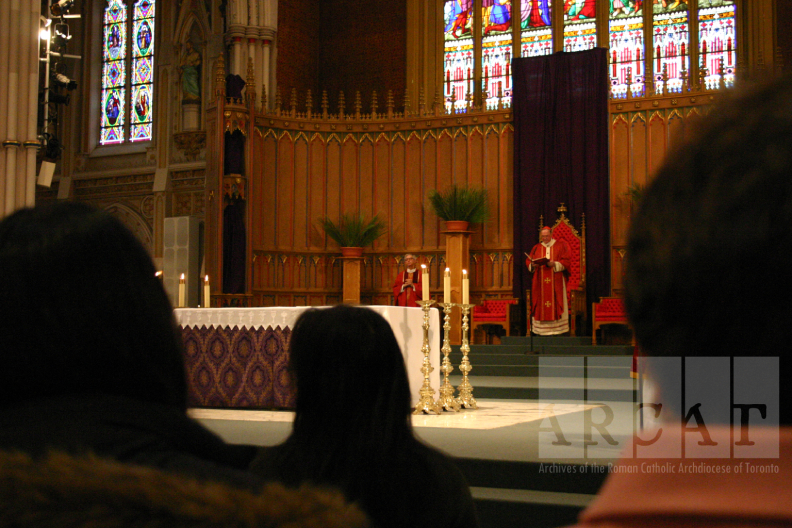 This Sunday is Palm Sunday, the Second Sunday in Passiontide, the last Sunday of Lent, and the beginning of Holy Week. On this day, Christians celebrate the triumphal arrival of Jesus in Jerusalem one week before His resurrection. The faithful receive palm leaves which they use to participate in a ritual procession. 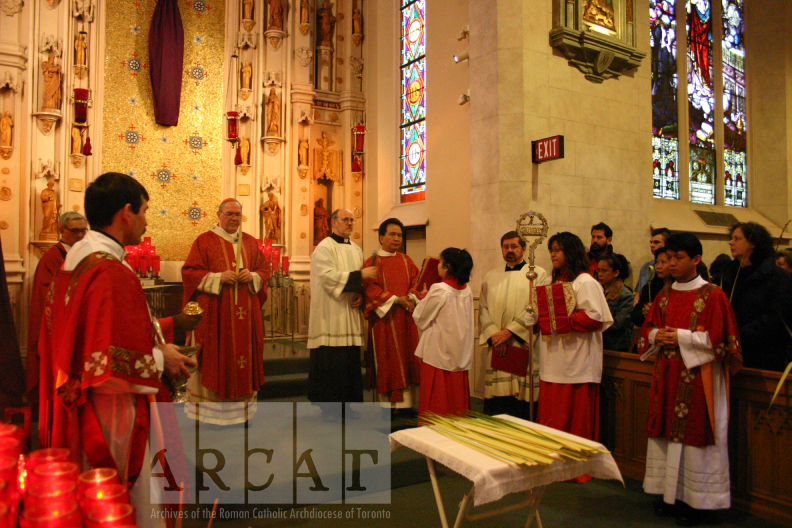 The vestment colours for Palm Sunday are red and white, symbolizing the redemption in blood that Christ paid for the world. Crosses, statues and images throughout the cathedral are veiled in the purple as a reminder of Lenten penitence for the two weeks of Passiontide. Palm leaves and plants can be seen throughout the church. A cross made of palm leaves is hung from the pulpit, and potted palms decorate the front of the church. 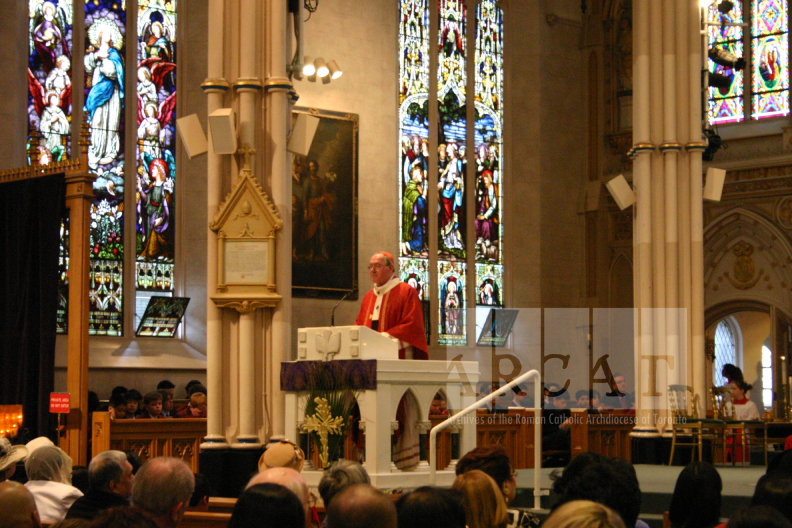 Palm Sunday Mass at St. Michael's Cathedral. Photographed by Suzanne Scarsone, 2005. 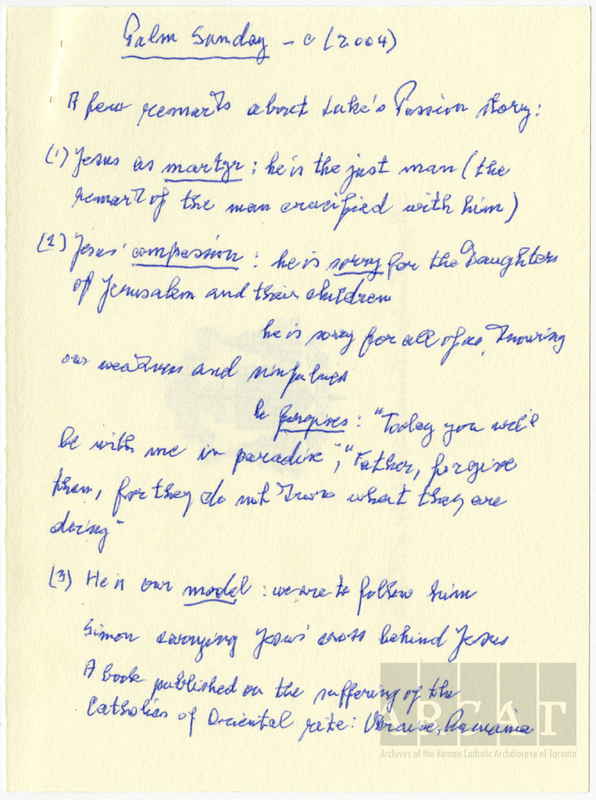 2) Jesus' compassion: he is sorry for the Daughters of Jerusalem and their children. He forgives: "Today you will be with me in paradise," "Father, forgive them, for they do not know what they are doing"
3) He is our model : we are to follow him. Simon carrying Jesus' cross behind Jesus. A book published on the suffering of the Catholics of Oriental rite: Ukraine, Romania. 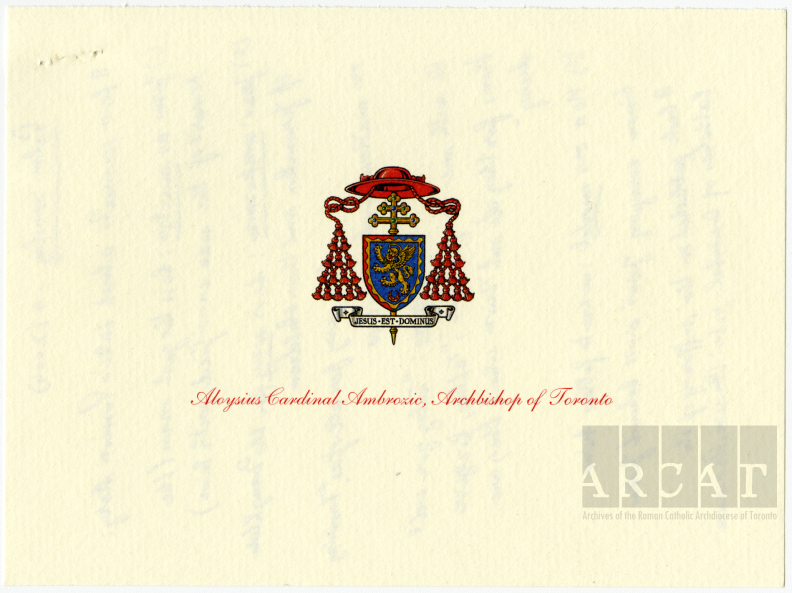 Cardinal Ambrozic Accession 2007-004 - Homilies, Palm Sunday.